Over the past ten years, we’ve experienced a number of up and down periods in the market. We saw some explosive growth as the 1990s closed out only to see the markets pull back sharply for a few years. Then, things recovered and we saw another four year period of growth, followed by the most recent six or seven months or so of another pullback. Meg over at All Financial Matters wrote a piece that highlighted the fact that the past ten years the markets have not lived up to their expectations. Her data shows that the average annual return over the past ten years for the S&P 500 was just under 4%. This is quite a bit off of the 10-11% average that we usually talk about. And in fact, after taking into account inflation, it appears as if you would be just treading water. In the comments, I had a question regarding what influence the effect of making small systematic investments over time, or dollar-cost averaging, would have on this data over the same period. So, I decided to examine the data and see what I could find. 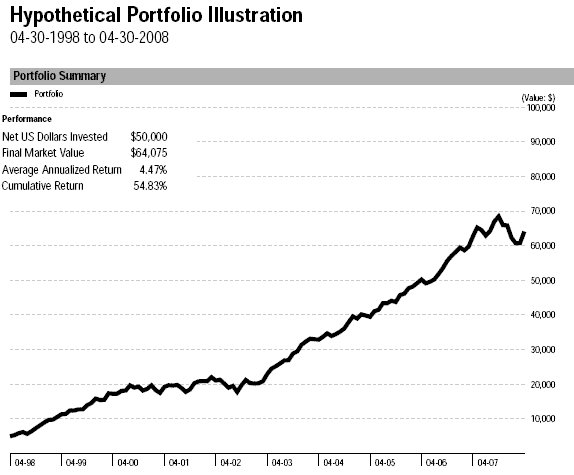 Looking at the lump-sum chart using Morningstar’s hypothetical builder, I made a $50,000 one-time investment in April 1998 in the Vanguard 500 Index (VFINX). As you can see, the data is straightforward. $50,000 had grown to almost $72,000, with the average annual return of 3.69%. Also, I wanted to show the cumulative return as well, which as defined by Morningstar as the total money-weighted return over the period. For the lump-sum, that was 43.64%. There isn’t anything shocking here, and this looks like almost any 10-year chart for the S&P 500. So, with the benchmark out of the way, let’s take a look at what happens if you were to instead spread the $50,000 investment equally across the same period. As you can tell, this chart looks much different. For this illustration, I ran the numbers so that in starting in April 1998, a monthly purchase of VFINX of $416.67 was made at the end of each month for the total of the past 10 years, or 120 months. This gives us the same $50,000 invested, but spread out equally. This is a far more accurate representation of what most investors would do. The first thing you can notice is that the chart is much smoother. Instead of seeing the wild fluctuations that occur with the market, the first five years especially, look much better. When the market was dropping from 2000 through 2002, the market was down between 40-50%, which can be seen in the first chart. With this chart, you can see the same period was actually relatively flat, and even ended slightly higher. Of course, this is due to constantly adding more money at regular intervals. As far as returns go, you can see that the ending balance is slightly lower than with the lump-sum investment. Here, we’re looking at only around $64,000 as opposed to nearly $72,000. This is because with all of the money immediately invested, it can begin working right away, which will increase (and decrease) faster. But is also interesting are the average annual and cumulative returns, which are both higher in this scenario. Average annual returns are around 4.5% and a cumulative returns for the period are nearly 55%. As it has been discussed before, the bottom line is that you want to put your money to work as soon as possible. If you have a large chunk of cash sitting around to be invested, you’re better off just moving forward and investing it. But, how many of us have tens of thousands of dollars sitting idle just waiting to go to work? That is why it also makes sense to invest as soon as possible even if you don’t have much money. In this scenario, we were only looking at a little over $400 a month, which gets you to $5,000 a year, which is also the IRA limit for 2008. There is no sense in waiting to save up a large sum of money before putting it to work, as you can see that small regular investments in even the rocky past ten years we’ve had yields very strong absolute returns, and even somewhat better short-term returns and reduces some of the volatility. Even so, it isn’t always about squeezing every penny out of your returns. Looking at the charts above, let’s assume you’re a relatively new investor who was just getting started in 1998. How likely would it be that you’re in 100% equities by the time 2003 rolls around after losing 40% of your money in a short amount of time with your lump-sum investment? On the other hand, a new investor who is slowly plugging away a little bit of money each month wouldn’t have noticed such a dramatic decline, and is probably more likely to stay true to their investment allocation instead of bailing out to something safe. Have been a big fan of dollar cost averaging (or pound cost averaging as we know it) for many years. However, with cost affective trading and many quality information blogs and sites, more people should look at trading themselves. Having transfered £1500 pounds from a pension to a fund managed pension the company... in twenty years I might add... has only made this sum £3000, that's around 4% compound! It would be difficult not to produce that figure trading on your own! Good post. Three things one should care about before investing in stock market- Evaluate Your Financial Situation, Decide What to Invest In, Decide How Much to Invest. Its great to know about the valuable information. Your posts are always informative and helpful. Thanks for all your hard work on this one! You have to invest the lump sum. Dollar cost averaging makes no sense on the lump sum unless you know the future. Maybe you do want to diversify the sum, but you don't want to hold on to it. When you look at it this way it all makes sense. Great post for those that think that the stock market is not the place to invest. I think your analysis is missing a piece that doesn't dollar cost averaging (DCA) justice. 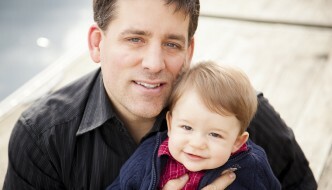 LC, I'd still just invest it when you have it. As long as doing so doesn't strain your budget or take money away from other important areas there is no sense in spreading it out. You're actually still doing DCA, but you're on an annual basis instead of monthly. One January might be high, another might be low, and over the next 10, 20, or 30 years, you'll effectively have been buying at a number of good and bad times. In the example in this post, the lump sum was made with no additional funds ever being added. But since you will be doing this on an annual basis, you probably have little incentive to spread it out much more. My husband and I usually make our Roth contributions at the beginning of the year in January as a lump sum, so that we earn the most interest possible on that money. Would it be better to divide this into monthly contributions? Some money would enter the market later but it would decrease the risk of entering on a "bad" day. That is a very good point, David. According to the inflation calculator, $50,000 in 1998 is worth about $64,366 today, which puts a significant dent in the real return. And while I can't just plug inflation into the program, doing an annual inflation adjustment on each contribution means with the dollar cost averaging, the inflation adjusted total contribution would be $57,850. So, this narrows the gap considerably. The effect of inflation on both contributions and returns over longer periods of time is something I'd certainly like to explore more, so I may dedicate a future post to that. Thanks for bringing it up. Nice job. I think the difference between the charts would be even more impressive if they were adjusted for inflation. This would show the lump sum investor had to invest more than the dollar cost averaging investor because he would be investing with cheaper dollars. Thanks for an interesting research. What’s more, this method of investing, i.e. with small equal shares regularly, may be applied to any investment strategy. This method allows partially insuring your assets from the market fluctuations. The main thing here is to choose certain strategy of investing, then the amount and period of regular additional payments to it, and then to keep up with it for years; otherwise it wouldn’t make any sense. People always invest in a stock market with the hope of getting huge returns. So they look for some stock tips which would help them in getting higher profits. Well i feel here is some good information about the stock market. I love this post and the point you make. Thank you for encouraging people to invest no matter what. I'm Stumbling this post! Ron, actually you can expect more posts like this that go into detail covering the effects of asset allocation, different funds, and so on. Now that I have regained access to this Morningstar tool, there are a lot of neat things I'll be able to come up with. Clearly this was just a real quick and dirty illustration using the most common benchmark, but it still isn't quite true to most real world applications since most people aren't invested 100% in the S&P. I wonder how the chart would look if you invested 25% into each of four funds: Growth, growth & income, international, and emerging markets. This is a great information about stock market up's and downs. By just seeing this chart we can estimate the risk factors and also the profits in the stock market. Thank you for the information. Is anyone trading with Fixed Return Options (FROs)? I respectfully disagree. I've written a post I titled "Long Term Investments are not risk free" in which I addressed this issue specifically. 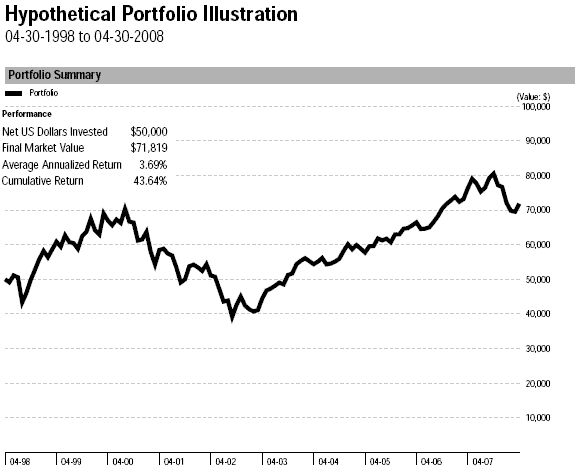 Suffice if we take a look at the S&P graph and assume we invested our lump sum somewhere around 2000. We would have lost big on alternative investments since the S&P hardly budged since then. The Japanese Nikkei225 is a better example as investors who chose to invest during the early 1990's have lost around 405 of their investment! The NASDAQ of 2000's is another good example and there are more examples if needed. Setting goals, determining risk and diversifying is key to success in investments in my opinion. That's very true, and timing is everything. Had you made the lump sum purchase in 2000, you'd probably be worse off, but if you did it in the mid-90s, it would probably be much better. But, like you said, there is no sense in having cash lying around waiting for the perfect opportunity to buy. Put your money to work when you have it, and you'll likely end up doing quite well. Try redoing the analysis with multiple starting years. You'll find that lump sum is sometimes unlucky and hits peak when the averager will do much better. But the lump sum is also sometimes lucky and destroys the averager by many times. I'd be interested in seeing that results. I did invest a big lump sum during that correction a couple of years ago and it was great! My advice is to never leave cash lying around. It's just wasting potential.